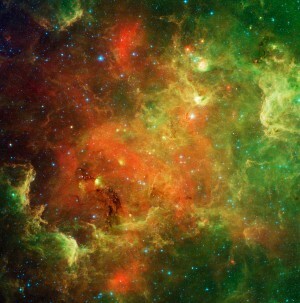 Sure, we have said it before, but we will say it again, because it is one of the neatest tricks in all the heavens. That is … Orion’s Belt points to Sirius. Sirius is the brightest star in the sky. It is up before dawn now, but will be shifting into the evening sky as the months pass. You can find Orion. Trust me. 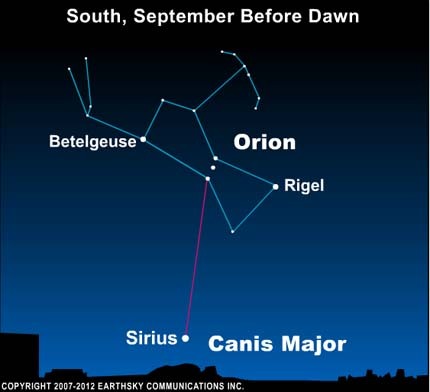 If you go outside and look southward before dawn now, you will notice Orion’s Belt, which consists of a short, straight row of medium-bright stars. Just draw a line through Orion’s Belt, and extend that line toward the horizon. You will easily spot Sirius, the sky’s brightest star. Sirius is in the constellation Canis Major the Greater Dog. It has often called the Dog Star. Site contents copyright © 2019 Recorder Online	except as noted. All rights reserved. | 88 queries in 2.487 seconds.